Perfect for beginners, this calligraphy book teaches over 100 Chinese paintings and calligraphies along with historical and cultural information. As one of the most fascinating artistic form in the world, Chinese calligraphy has long been an area of interest to both novices and researchers. This easy-to-use guide introduces all the basic elements of the standard Chinese calligraphy script, Kaishu, with step-by-step instructions and diagrams for each of the 8 basic strokes. The purpose of this book is two-fold. On one had, it contains a short history of Chinese calligaphy and an introduction to Kaishu style, which embodies the very essense of the "Eastern arts" for those who find themselves interested in the arts of the Asian countries. 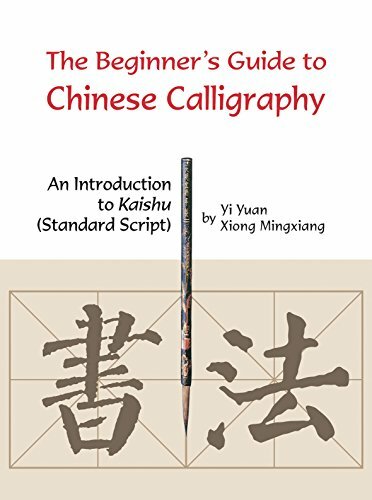 On the other hand, for those who know about Chinese calligraphy and want to try their hand at it, the book, with Kaishu as a starting point, introduces the basic skills of the ancient and exquisite art of Chinese calligraphy. The rules and methods contained in the book will make the learning process easier with clear diagrams and images. If you have any questions about this product by Shanghai Press, contact us by completing and submitting the form below. If you are looking for a specif part number, please include it with your message.